Partnering with DJ Kyroman and music school Pyramind, Tribe VR’s DJ School aims to teach the art of live mixing with real DJ equipment modelled in VR, with the goal of allowing your virtually acquired skills and knowledge to transfer to real life mixing equipment. 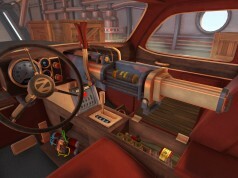 The app launched in Early Access on the Oculus Store in December. San Francisco-based VR development startup Tribe VR is concentrating on immersive learning applications for virtual and augmented reality to enable users to learn real-world skills. Tribe VR DJ School is their first project, a VR application currently optimised for Oculus Rift and Touch. 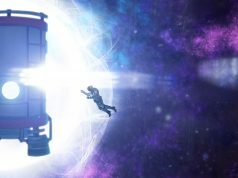 It was recently showcased on the official Oculus blog alongside live performance platform NOYS VR (Early Access, 2017) and interactive music video Show It 2 Me (2017) as three examples of immersive music experiences created for VR. In its current form, the user is presented with two digital decks and a mixer based on high-end Pioneer DJ equipment, and the basics of operating the mixer, such as adjusting equalisers and crossfading is explained by a virtual ‘Mentor’. For now, the features are limited, as the single ‘lesson’ only teaches you to play around with two preloaded tracks that are already synchronised. The ‘free play’ mode allows a little more room to experiment with sounds, but the app is missing the crucial feature of being able to import your own music. 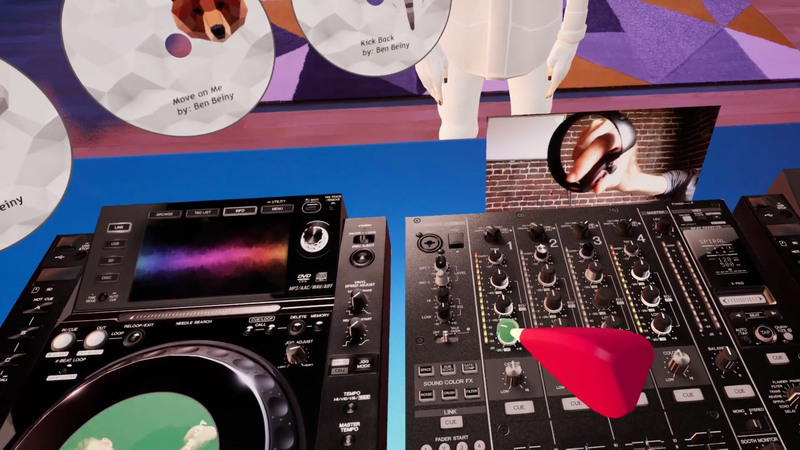 Vinyl Reality (2017), another Early Access VR DJ app on Steam, appears to be further along the path of features, as it allows music import, but appears to be focused on simulating mixing with traditional turntables. Tribe VR DJ School, as the name implies, wants to lean heavily towards teaching, and the developer plans to implement “DJ masterclasses” and “extensive lesson content” over the coming weeks. DJ School is just one example of an immersive learning experience; Tribe VR seems to have ambitions for further learning-focused VR and AR projects. VR is great for simulating otherwise inaccessible stuff. This is an interesting first step. i hope the ”Mentor” have a better music taste because that demo track in the video is annoying as f…k!